Right-leg cargo pocket with added phone and pen slots; two back pockets with flaps and hidden snap closure. 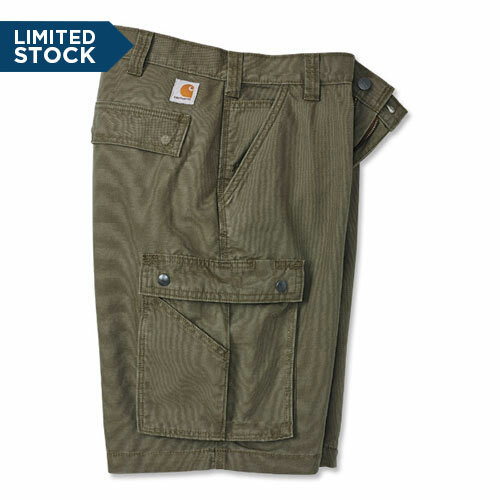 The perfect cargo short ? soft, tough and loaded with handy pockets. Sewn on seam belt loops add durability. Sit at waist. 11" inseam.